Is There Historical Evidence for the Resurrection of Jesus? 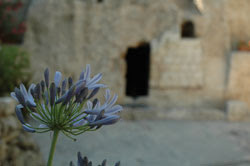 Whether Jesus was risen or not is very important to the Christian faith. The apostle Paul said that if Christ was not risen, our faith is in vain (1 Cor. 15:14). But after hearing this debate, you should have great confidence that Christ was really risen. Read the transcript of the debate.